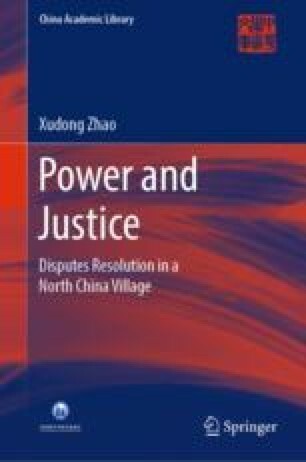 With the implementation of the Household Contract Responsibility System after 1980s, the production mode with household as the core was practiced and further produced the privatization concept of household economy (Kelliher in Peasant power in China: The era of rural reform. Yale University Press, New Haven, 1992). An institutional innovation had driven a fundamental change in the entire social and economic life. When the dominant ideology of the state had accepted the “market economy” concept of Western countries and turned the focus to the economic construction, the “privatization” concept recovered and “resurged” because of the relaxed ideological and political control (Hinton in The privatization of China: The great reversal. Earthscan Publications Ltd, London, 1991). In this case, the general understanding of rural China might be summarized as follows. Privatization production made rational calculation the basic principle of interaction between the village government and villagers; village cadres won a position of authority in the village by “doing practical things” for villagers; due to the openness of the national ideological monitor, villagers constructed new forms of civil authority outside the field of state authority. This non-institutionalized authorities maintained mutual competition and dialogue relation with the institutionalized authorities including township government and township court. Law cannot maintain order by itself, which has to be supported by power…. This power would not be in the hands of one person and manipulated by him, but would be operated and used by many people, thus an arrangement or order is needed for using it. Therefore, there is a power structure or system to exercise power in every society.